OK, so I have one more amazing guest post for you before I'm back! This is just as exciting as the last one. Kristina from Whipped is here to share a great 4th of July themed recipe for you! I have to tell you, Kristina is not only an amazing blogger with gorgeous photos, a fun and friendly voice, and scrumptious (plus healthy?!) recipes, but she has also become my BFF--best foodie friend. She's moving to NYC this September for culinary school and I CANNOT wait! Michael is worried I may leave him to spend all my time with her. But then again, he wants her to be at the apartment all the time so she and I can both feed him goodies. Spoiled boy :P Anyway! 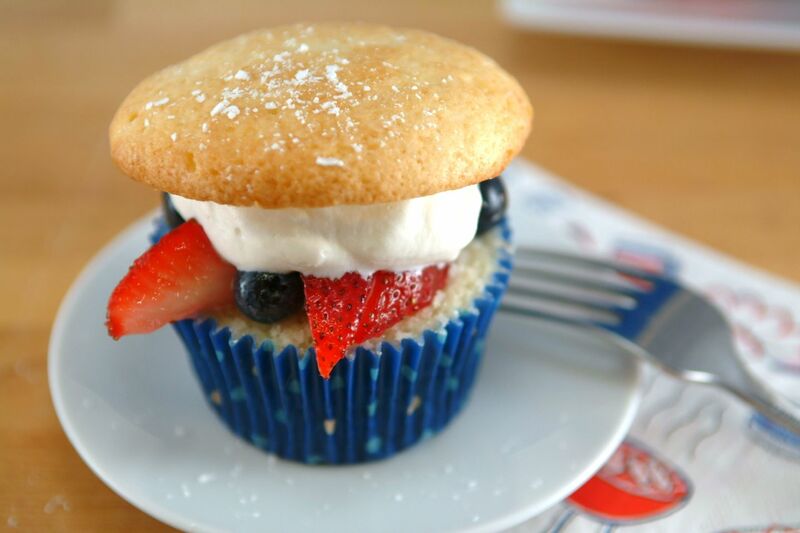 These cupcakes/shortcakes look so perfect for summer (you can even wear a bikini after eating one, I say it's ok!) and Michael positively drooled over these when he saw the photos! (They're refreshing and have berries so he's obviously ALL OVER THIS!) Now, read the rest of this post, enjoy the wonderousness that is Kristina, then go check out her blog and read every morsel of awesomeness on there! And while you're at it, you should really keep up to date with her through the twitter, that facebook, and of course pinterest! And I will be back in full force next week! Have a wonderful weekend everyone! Hey everyone! So, I'm back in the old Ohio-super super busy, I'm sure (I'm totally writing this post before I leave), and I have my first guest post for you today! I chose two of my absolute favorite foodie friends, and first I have the wonderful and hilarious Jen of Juanita's Cocina! Jen is a super amazing, super talented wife/mother/"at-home-cook, wanna-be chef, and aspiring foodie". She is so nice you guys, it's like, impossible to not immediately become her friend. PLUS-she can legitimately say y'all (she lives in Texas). She always has some of the most entertaining stories you will read (forreals, never fails to amuse me), and delicious food! Go become her friend! Tweet her, FB her, Pin her, you guys know the dealio. And obviously you should start obsessively stalking her blog. That's just manners, people. Also...I want to eat some of that rigatoni...I'm legit. planning on making it! Michael agrees :). This is going to be the last recipe you see from me for about a week. As I've mentioned, I leave tomorrow for a visit home to Ohio. I haven't been there since Christmas (and since my mom sold my childhood house and bought and moved into and decorated a brand new one!) so I am so excited and ready for this visit. There's so much stuff I'll be doing and so many people to see, and my laptop will be staying in NY so, I won't really be able to do any blogging. Never fear, though, I am not leaving you alone! I have two fabulous guest posts from two of my favorite food bloggers (and friends)-trust me, after you read their posts, you'll be so over reading mine (but still please come back and read mine anyway). I might not be able to post next Monday, either (or possibly not until evening/night-time) since I will be en route back to NY + it'll be mine and Michael's 3 year anniversary :). But, TODAY I do have something for you! Yes, I know, they're biscuits. 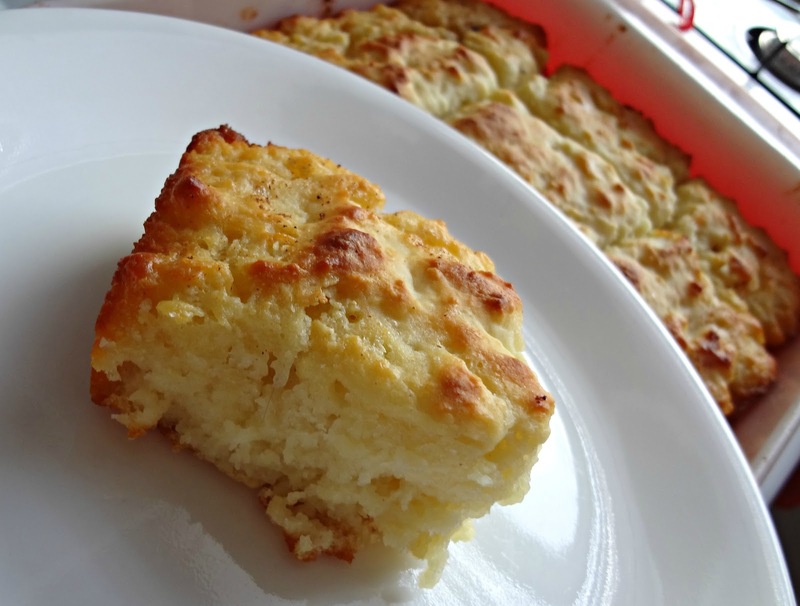 Yes, I just shared a biscuit recipe with you a couple weeks ago. But, you guyyys, these are different! But also super delicious! These biscuits have BROWNED BUTTER in them! And they're tall and flaky and buttery and everything a biscuit should be, but also kind of complex and gourmet and special. And pretty, too, don't they look pretty? OK, so, things are about to get crazy. And not just because of these cupcakes (which I'm totally gonna talk about in like a minute). Last night, my cousin Amy and her friend came to visit me! Amy is one of my oldest cousins, but she's the one I always felt like I could relate to-the one that was most like me (which she sometimes takes as an insult *harumph* :P). I also adore her husband Uriah (who I may have had a crush on when I was like 6 and they'll never let me hear the end of it)-and now that I have Michael he gets along with them both really well, too, and is actually a lot like Uriah, lol. Anyway, Amy and Uriah have moved around a lot, and of course now I live in NY, so I don't get to see them nearly enough. Plus, barely anyone (other than my mom) ever visits me! So I am so so so excited for Amy's visit and we're going to have lots of fun! I'm telling you all this so you know why I may be less active for the next few days...and then for like...a week afterward. You see, Amy leaves on Monday (to her next destination: Atlantic City), and then early Tuesday morning I leave to go to Ohio for a visit! Michael's brothers have a joint (one from college and one from high school) graduation party that coming weekend, so he'll also be coming up after work on Friday. So I'll also be a little less...present...whilst I'm in Ohio. Don't worry, though, you'll still have plenty of delicious posts to read while I'm away ;). Speaking of delicious! CUPCAKES! These are the first (and, unfortunately, so far the only) cupcakes I have ever made (not counting making boxed funfetti with my mom)! 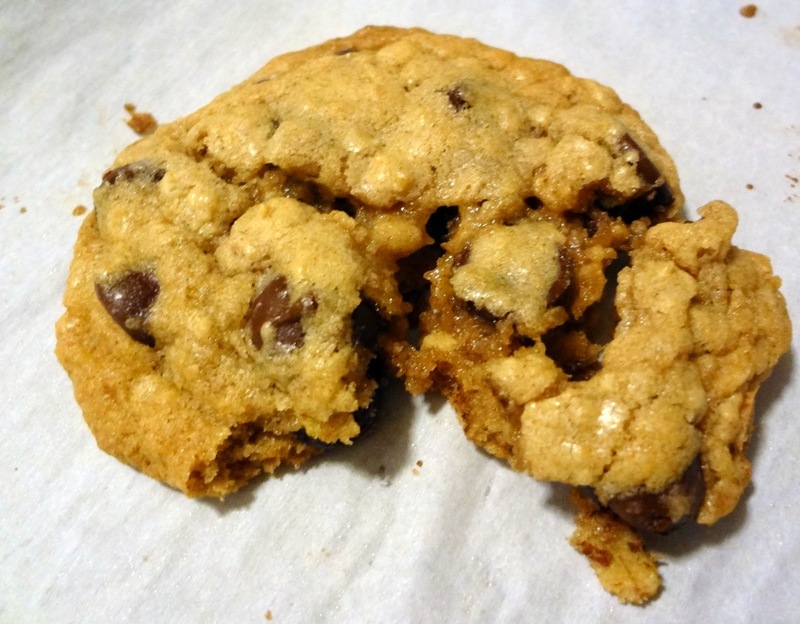 As I've mentioned before, in spite of the trendiness of cupcakes, cookies hold my heart. This does not mean, though, that I don't appreciate a good cupcake now and again. Because I totally do. Especially if they have filling. I had my first "gourmet" filled cupcake at Crumbs and I have never turned back. They are superior in every way to non-filled cupcakes. I love them. Mmm. These cupcakes are amazing! 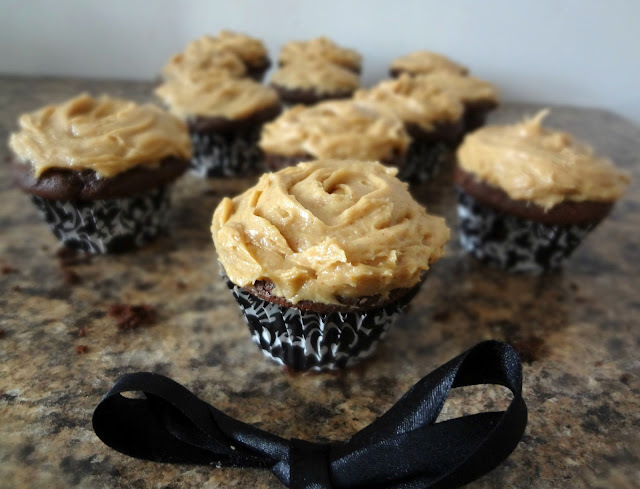 Perfect dark chocolate cupcakes with a rich peanut butter mousse frosting. Umm...awesome. The original recipe didn't have them as being filled but, like I said, every cupcake is better with filling. It was a good call. I really love these cupcakes. Honestly, best cupcakes I've ever had. Ever. And apparently I'm a natural! I did one of the most MacGyver'y ways of frosting these cupcakes (Ziploc bag-no piping tip), and had no idea how to frost a cupcake. Somehow, I inadvertently stumbled upon an actual frosting technique (I learned later) that looks like a rose (which is so kismet since I LOVE roses-my favorite flower!). And filling the cupcakes is super easy too (although I actually read about how to do that)-instructions are below. Now that I'm talking about this, I sort of want to make some cupcakes again. I think it's about time ;). Remember how I'm like a dumb little kid and I need to be tricked into eating vegetables? This is one such recipe. 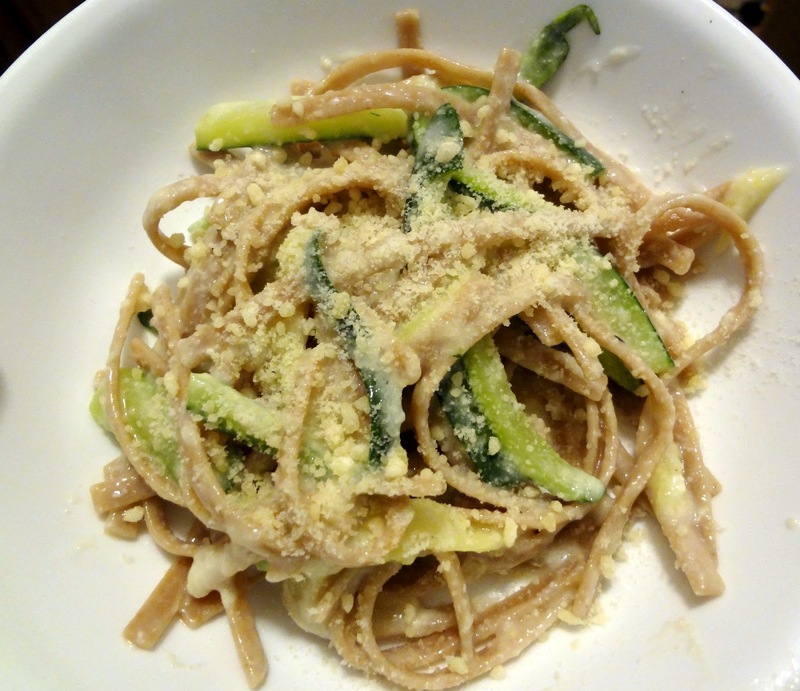 You take zucchini and use them to take the place of some of the fettuccine noodles, and then smother them in the super flavorful (but not super fatty!) sauce. And it's amazing. I love this entire concept so much I've even used zucchini noodles in other kinds of pasta (but not oil pasta, because olive oil alone isn't enough of a mask for the icky green stuff for the 6 year old that is myself). 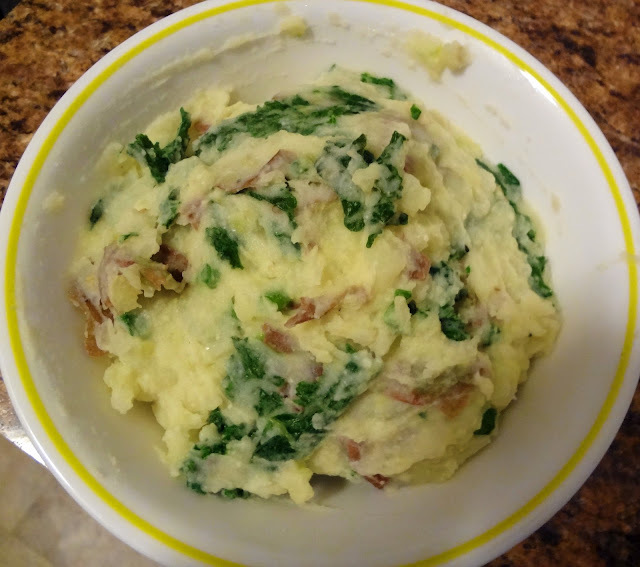 It's so great because this recipe takes a dish that is so fatty and calorie-laden that many of us feel like we just can't eat it-but it gives us a delicious alternative that I, personally, think is just as good. What makes me so sad, though, is the fact that this is one of the first recipes I ever bookmarked. And it took me like 2 years to make it. I could've been eating this for 2 years and I wasn't! It's a travesty! An outrage! An abomination! YOU MUST LEARN FROM MY MISTAKES AND MAKE SOME OF THIS ASAP! I mean it! Also-you definitely might want to double (or triple) the amount, depending on how many people you're serving and if you want leftovers. Because when it says serves 2-it means serves 2. A little friendly advice. But anyway, what are you doing hanging around here reading the silliness that comes out of my fingers on this keyboard onto this blog? YOU SHOULD BE MAKING SOME OF THIS FETTUCCINE ALFREDO! From Eating Well "Fettuccine Alfredo"
So, I want to start this post with a question: Should I do themed/update/round-up posts? You know like some blogs post "Muffin Monday", others do "Tuesday Tutor", and lots of others share links of their fav. recipes from other blog's for the week, or a round-up of their recipes + some fun little life bits. Should I do something like this? Would you guys like me more? (could I sound more needy?) Is there anything specific you would like to see from me on a more regularized basis? Just something I was thinkin' about. Now that that little piece of business is finished, I have sort of a basic recipe post for you today: Graham Cracker Pie Crust. Now, obviously you can always easily buy these crusts. But...who knows what's all up in those, you know? And I want to feel as unprocessed as possible as I eat my peanut butter pie! 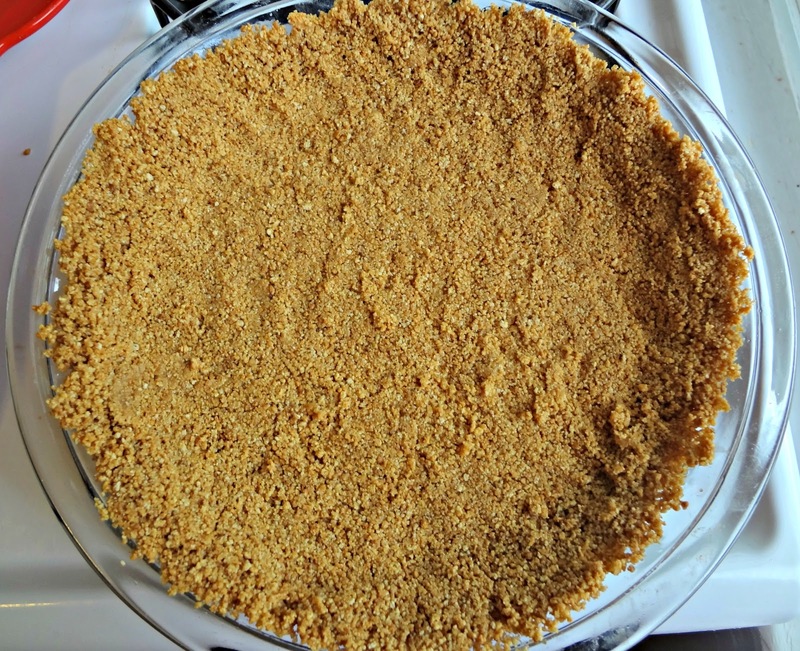 ;P But seriously, it's so not hard to make homemade graham cracker crust, and it tastes like a bjillion times better. Last time I made that peanut butter pie we love I decided to attempt to make my own and, using a couple different graham cracker pie crust recipes I had that were for different pies, I sort of created my own little recipe (that's not quite as heinously bad for you as some), and I really loved it. It's super delish. And, a great basic recipe to just have, in case you need it. So here ya go! 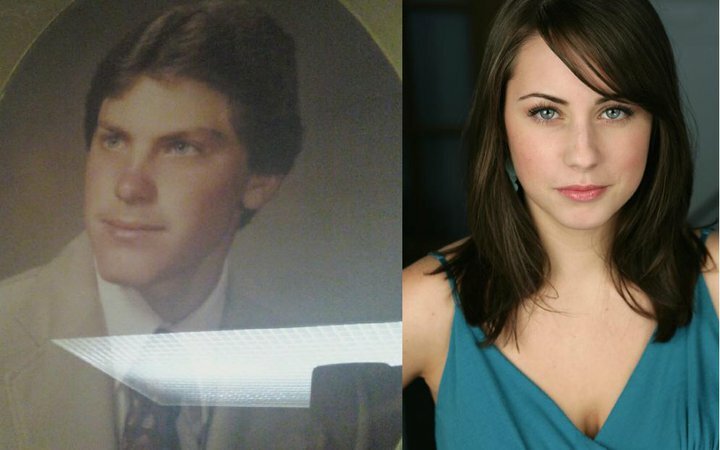 Adapted from evil shenanigans' crust for "Peanut Butter Cream Pie with Chocolate Whipped Cream"
Isn't it freaky how much I look like my dad? He also enjoys having jams/preserves. I pack his lunch for work everyday, and I oftentimes make him a PB&J with whatever jam/preserves we have. For awhile, we had some that were given to us by his family. Then we ran out. Around this time, I also had a couple bags of frozen raspberries leftover from something or another. Also around this time, I think I was reading a blog post with a jam recipe. And I was like, "Whoa-that's it? That's all jam is?!" So I had the brilliant idea to google a raspberry jam recipe. Then I learned about pectin. I don't have pectin, and don't particularly want to buy any, so I made sure to search for pectin free recipes. And then I found one. 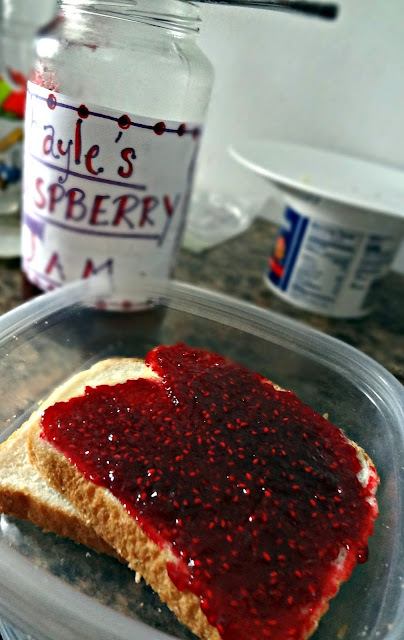 This recipe makes a lot of jam, but I only had enough raspberries for a half batch-so that's what I made. It came out perfectly! I was (and am) so proud of myself! Yay! Another Monday morning breakfast recipe! *even though I'm totally not even married yet. Whatevs. This is one of my FAVORITES, I've made it a few times already since discovering it. These biscuits are genius. GENIUS I say! They are big and fluffy, and taste so buttery you really don't need to put anything on them (and this is coming from a gal who enjoys herself some butter). It's so interesting because, generally, when it comes to biscuits you want tiny little pieces of cold butter in the dough to create pockets which make them fluffy when they bake and melt and stuff. 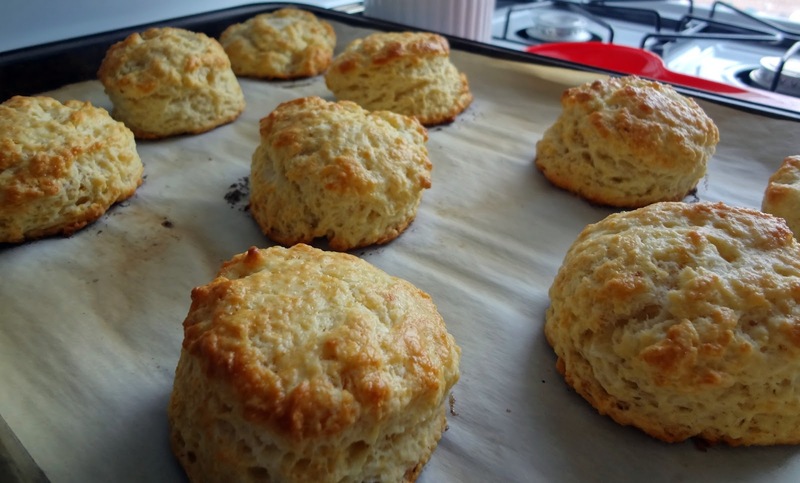 But with these biscuits you make a completely butter-less dough, and then have all of it sit in a baking pan full of melted butter. I'm no scientist, so I don't know why this works-I only know that it does! PLUS-the whole process of the melted butter baking in the oven also seems to brown some of it, so then we also get that delicious browned butter flavor we all love. This recipe is so quick, so easy, and so crazy delicious, I know it's going to be one of your favorites too! I'm gonna be honest with you nice folks. 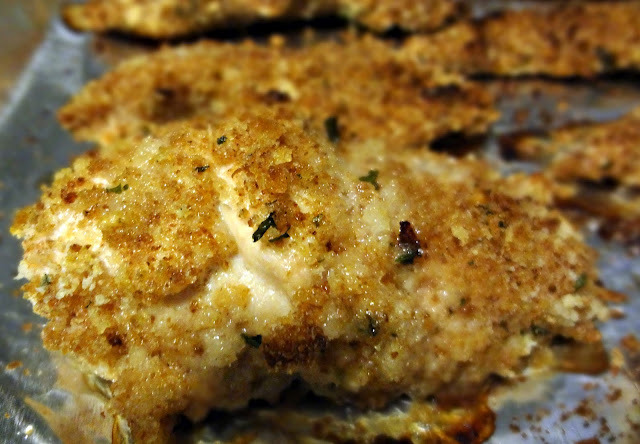 I wasn't going to share another chicken recipe with you quite so quickly. However...I already had this post partially written, and I am in the middle of a very busy work week (goodness knows I needed all this money I'm making, though! ), so this is a practical decision. You won't be disappointed though. Until recently, I didn't fully understand what kale is. I thought it was some fancy food, like caviar, that all the upper-crust of society ate. I'm not sure where that idea came from, but go with me on this. Anyway, it wasn't until I really dove into the internet food world that I saw people start talking about kale a lot. Then I was like, "Hm, well it's a green vegetable, but maybe I won't mind it so much." Remember that post I did about PB Crave? I had a really cool code for you guys to use for free shipping. It's unfortunately expired now, but, if you didn't get any PB Crave peanut butter yet-YOU NOW HAVE THE CHANCE TO WIN SOME! Scroll down to read more about the giveaway. 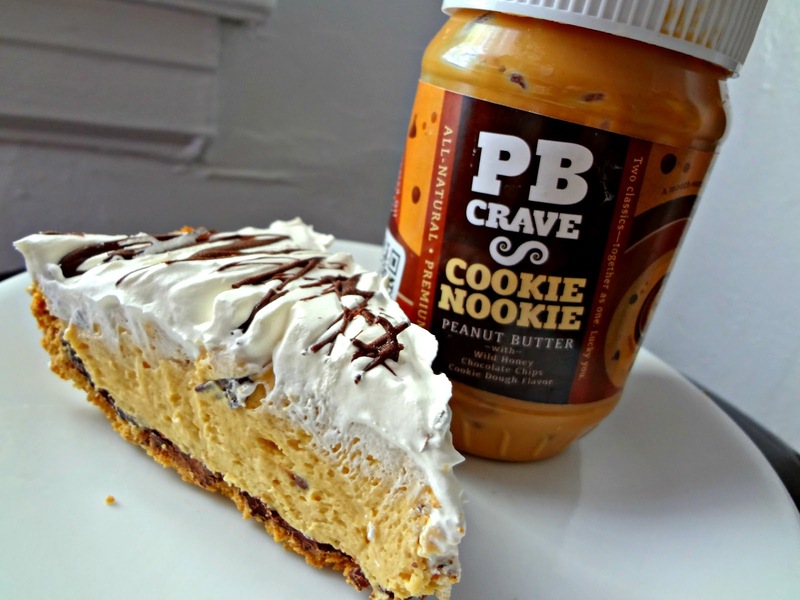 PB Crave is premium, all natural, gourmet peanut butter (that comes in 4 flavors). Currently only available online, these peanut butters are both crave-worthy and socially responsible! PB Crave is a part of Project Peanut Butter and, in addition to investing funds to create awareness to promote direct giving to Project Peanut Butter, they also give a portion of their profits to it. Malnutrition is the leading cause of death among children and PB Crave and Project Peanut Butter are trying to save young lives in Africa-they aim to save 2 million lives by 2015.